Besides the recalls aftermath and, now, the Great East Japan Earthquake and tsunami, a third commonly cited cause for the recent downturn in Toyota, Lexus and Scion sales is an uneven new product launch cadence that left the 2010 and 2011 model years sorely lacking in all-new models. 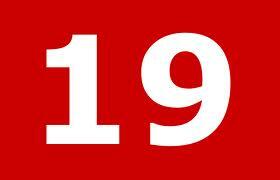 The upcoming 2012 model year, however, marks a turning point in addressing the latter situation. Thus far, we’ve seen Toyota’s larger Prius (Prius Alpha/v/+, depending on what part of the world you’re in) and the 3rd-generation Yaris, as well as a preview of the 4th-generation Lexus GS in the LF-Gh concept, and the twice-delayed Scion iQ should certainly appear as a 2012 model. Eco-weenies Fans of “green” vehicles will no doubt be pleased by the appearance of the Prius plug-in hybrid, the smaller Prius c, the Scion iQ EV and the Toyota RAV4 EV. Yet, probably the most crucial new 2012 launch for Toyota isn’t any of the above, but, rather, the 7th generation of the Toyota Camry, still the U.S.’s biggest-selling car. The all-new 2012 Camry and Camry Hybrid is designed to meet the changing needs of the 21st Century driver, and the new Camry will provide technologically advanced features, a contemporary design inside and out, improved performance and refined ride and handling. 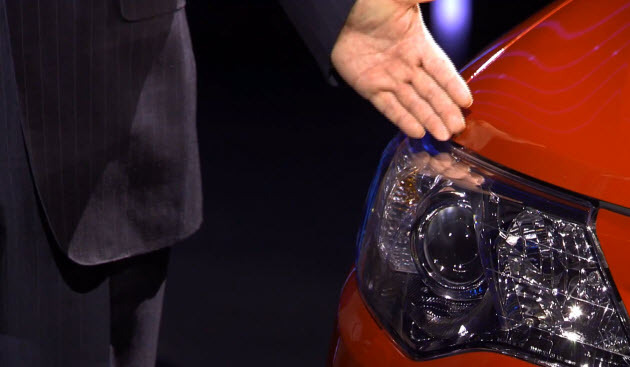 Beyond that, though, Mr. Toyoda also appears in a brief, 44-second YouTube video that affords a quick glimpse of a headlight (also shown at the top of our story) that is seemingly taller and narrower than that of the current, outgoing 6th-gen model, and, to this author’s eye, is somewhat reminiscent of the latest European Toyota Avensis. Lately, it seems that Toyota can’t catch a break from Mother Nature’s wrath and fury. We’ve certainly been diligent in reporting on the aftermath of the Great East Japan Earthquake and the tsunami and aftershocks that followed, and now, half a world away, another Toyota facility is down but not out because of a natural disaster. 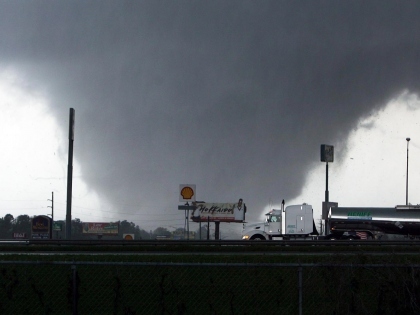 A swath of tornadoes that hit the southeastern United States on Wednesday 27 April and winds that reached speeds of 200 mph (322 kph) struck particularly hard in the Tuscaloosa, Alabama area that is the home of a number of foreign carmakers’ U.S. assembly facilities. With major U.S. news outlets such as the Associated Press, Reuters and Bloomberg rightfully focused on general news from the impacted areas, it is trade paper Automotive News that brought us an initial and follow-up report on the aftermath of the tornadoes insofar as carmaking facilities. The tornadoes that claimed at least 339 lives across seven states, including at least 248 in Alabama, caused no direct damage to Hyundai’s plant in Montgomery (well south of the Tuscaloosa area) nor to Honda’s facility in Lincoln (in the eastern part of the state). Mercedes-Benz’s plant in Vance, just north of Tuscaloosa, ultimately suffered just minor siding and roof damage, and with electric power on in that area, the company has announced that production of GL, M, and R class SUVs and crossovers will resume on Monday 2 May. Slightly more affected is the engine-making Toyota Motor Manufacturing, Alabama (TMMAL) facility in Huntsville that currently assembles 4-liter 1GR-FE V6 as well as 4.6-liter 1UR-FE and 5.7-liter 3UR-FE V8 engines for Toyota’s Tundra and Tacoma pickups and Sequoia SUV. While the plant itself saw minimal damage, the tornadoes ripped down utility lines in the vicinity and, as of Friday 29 April, the TMMAL facility remained without power. This may be a moot point for now, however, given Toyota’s current no-production-on-Mondays schedule in the aftermath of the Japanese natural disasters. As in Japan, though, it remains to be seen how local automotive parts suppliers have been affected, although early reports cite, at worst, a Toyota-like situation of minimal-to-no-damage with a lack of electric power. Although Alabama’s travails appear to be notably less severe than Japan’s, we can’t help but wonder if the plan to start assembly at the TMMAL facility of 2.5-liter 2AR-FE and 2.7-liter 1AR-FE 4-cylinder engines (as found in Toyota Camry, RAV4, Scion tC and Toyota Highlander, Venza and Sienna) by summer 2011 (as noted in Toyota’s USA and Global Newsrooms) has been pushed back. As an aside, we’d like to note that the Alabama engine plant is the only facility outside Japan that builds Toyota V8 engines. The Toyota USA Newsroom informed us on Thursday 5 May that Toyota will make a $1 million contribution to the American Red Cross to support relief efforts for victims of the recent outbreak of tornados in the Southern, Midwestern and Eastern regions of the United States. In addition, Toyota will match employee contributions to the American Red Cross. The company will also provide additional support and assistance to those Toyota employees who have lost their homes.